In a choppy market, stock selection is critical if you want consistent gains. Without a strong trend, it is essential to know the true strength (or weakness) of a stock relative to others in its industry group. Until now, ranking the strength of a stock (or ETF) was difficult to visualize using individual charts. With the Phoenix Finder Tool and Strategy, it becomes clear at a glance which stocks are ripe for a rally and which are ready to drop like a rock. Targeting 50 to 200 percent high probability short term gains with options becomes possible when you can identify when money flows in (or out) of key stocks in carefully chosen industries. What is the Phoenix Finder Indicator? It reveals the hidden power in any ticker you choose by using a formula of comparison between key stocks, industries, or ETFs. With this big picture view, you can objectively measure the strength of each symbol to help you pick the best in breed, and put your money on the the fastest horses. How to identify ‘hidden strength’ Phoenix stocks that are ready to rally. These stocks offer buyers explosive profit potential. These are the stocks that destroy short sellers. How to expose ‘weak link’ stocks poised to drop like rocks. Don’t buy! These stocks are the ‘dying Phoenix’ in their group. They offer amazing potential for short sellers. How to quickly identify which stocks to target (and which to avoid). It is critical to choose options setups AFTER knowing whether money is flowing in or out of a symbol. How to know which options setup to use for maximum profit potential with limited risk. This allows you to trade with confidence and objectivity instead of guessing. How part-time traders with smaller accounts can reliably grow their balance by swimming with the ‘big money flow’ (and NOT against). Danielle’s easy to follow Phoenix Finder research process. Know exactly how to identify stocks and ETFs with hidden strength (or weakness) so you can create your custom watchlist. How to get ready to follow Danielle’s strategy. You get a step-by-step downloadable PDF Phoenix Finder Setup Guide for quick and easy reference. How to instantly duplicate Danielle’s exact workspace layout. This is a massive time-saver! You do not have to wonder how to set up your charts. Just install her layout in your trading platform (currently available for ThinkorSwim and TradeStation). 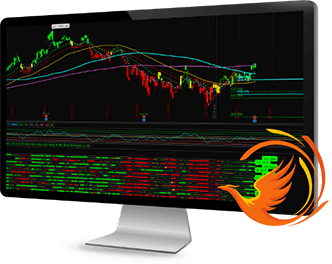 With the Pro Package you get the Basic Package with the Strategy Class on Saturday, the Phoenix Finder Tool PLUS 2 days of Live-Trading with Danielle Shay. Take advantage of our popular live-trading sessions because it is during market hours that everything you learned in the Strategy class comes together. Make this strategy your own by immediately turning your new knowledge into action. 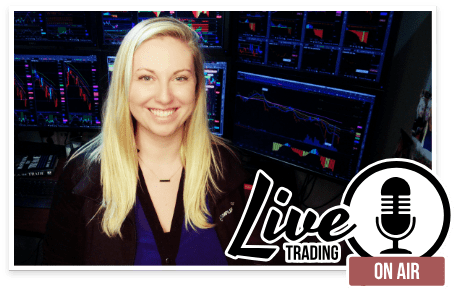 This is when you can day trade and swing trade stocks, options, and ETFs with Danielle in real-time. Watch over Danielle’s shoulder as she looks for high probability setups and dive deeper into the Phoenix Finder strategy. It is amazing how much it is possible to improve your skills in a few trading sessions. As always, our informal goal is to strive into make enough profit to more than pay for the class (obviously, no promises). "Danielle….you are a treasure. You have the ability to hammer your ideas into my knucklehead. Your explanation is spot on. Thanks." "Whoo up 9% for the week thank you Danielle great week well worthwhile being sleep deprived for. Have a great weekend." "Danielle, in a couple weeks you have had a positive impact on my trading skills and confidence levels!" Danielle is a market analyst, trader and expert commentator. She is the Director of Options and the head of Simpler Foundation at Simpler Trading. 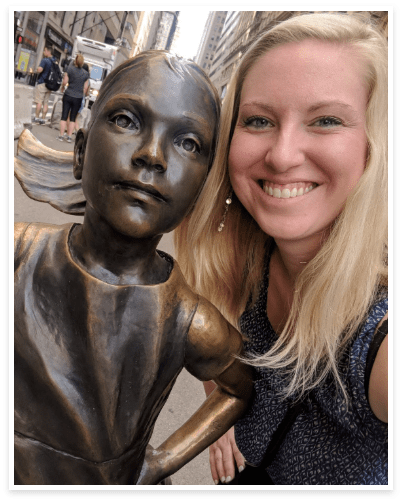 As a former teacher, her goal is to help traders grasp the basics that make trading simpler — no matter their skill level. She has the keen ability to relay trading information in small tangible bits where even the ‘best’ of traders will find her insights useful and easy to understand. Her primary focus is on trend-following, directional strategies via options trading, though she covers stocks and ETFs as well. Danielle is a contributor in John Carter’s 3rd Edition of Mastering the Trade, and has been seen on Fox News, RT America, Benginza, StockCharts.com, Real Vision TV, Trader’s Nation and more. Follow her on Twitter @traderDanielle. Q: Will everything be recorded? A: Absolutely! All live trading room sessions and member webinars will be recorded and reside in your membership dashboard after the sessions have concluded. Q: How long will I have access to the recordings? A: Traders who sign up for this class will have access to the recording indefinitely. Q: What trading platforms support the Phoenix Finder Indicator? Support@SimplerTrading.com or call us at (512) 266-8659.